Still after these many years his patriotism and heroic deeds inspire us to cherish our American Liberties! 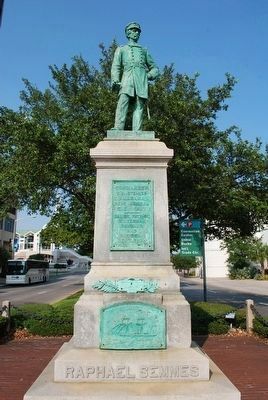 Erected 2000 by Sons of Confederate Veterans. Location. 30° 41.422′ N, 88° 2.399′ W. Marker is in Mobile, Alabama, in Mobile County. 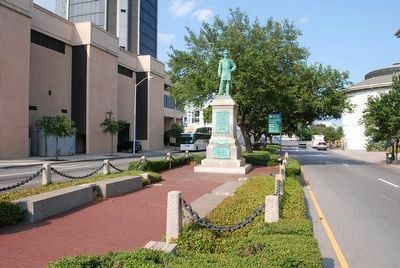 Marker is on Government Street, in the median. Touch for map. 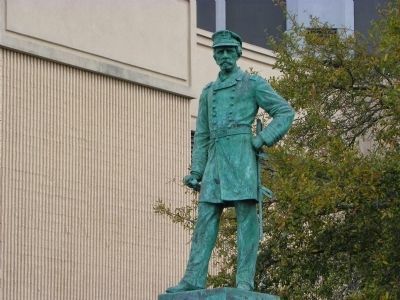 Marker erected on a statue. 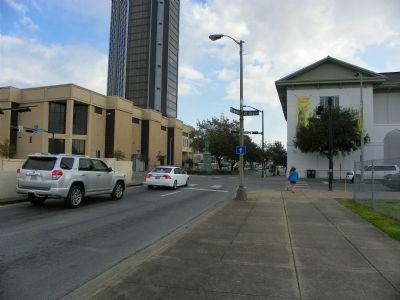 Marker is at or near this postal address: 65 Government Street, Mobile, AL 36602, Mobile AL 36602, United States of America. Touch for directions. 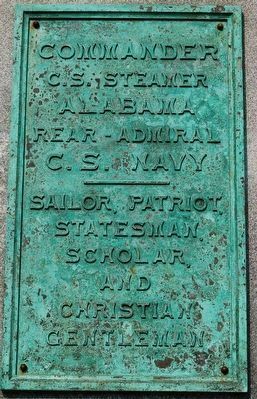 of this marker); City Hall (about 300 feet away, measured in a direct line); "Damn The Torpedoes!" 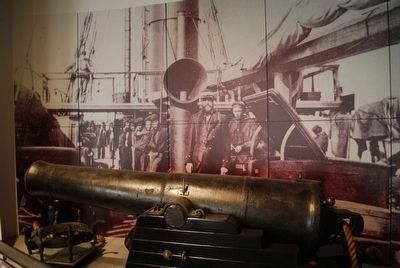 The Campaigns for Mobile, 1864 - 1865 (about 300 feet away); Cadillac Homesite (about 400 feet away); Second Fort Conde Ruin (about 400 feet away); How Big was the Original Fort Condé? 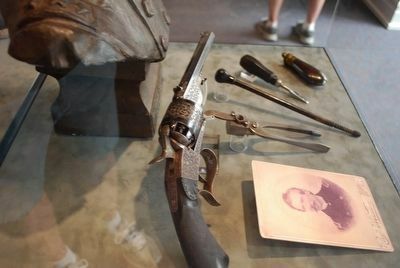 (about 500 feet away); Office of Dr. Henry S. LeVert, 1804-1864. (about 500 feet away). Touch for a list and map of all markers in Mobile. 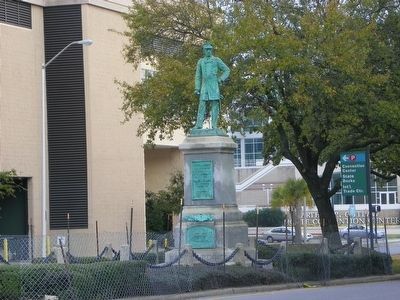 The statue can be seen in the distance in the median. 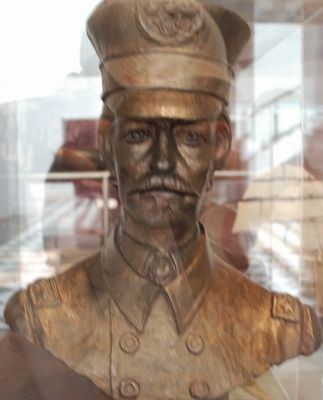 Closeup of the statue itself. 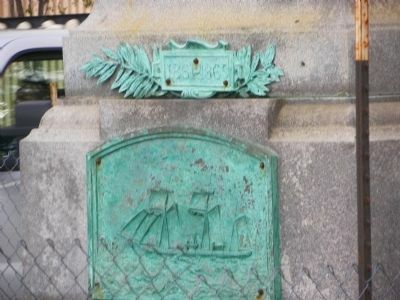 Closeup of plaques on statue. 13. 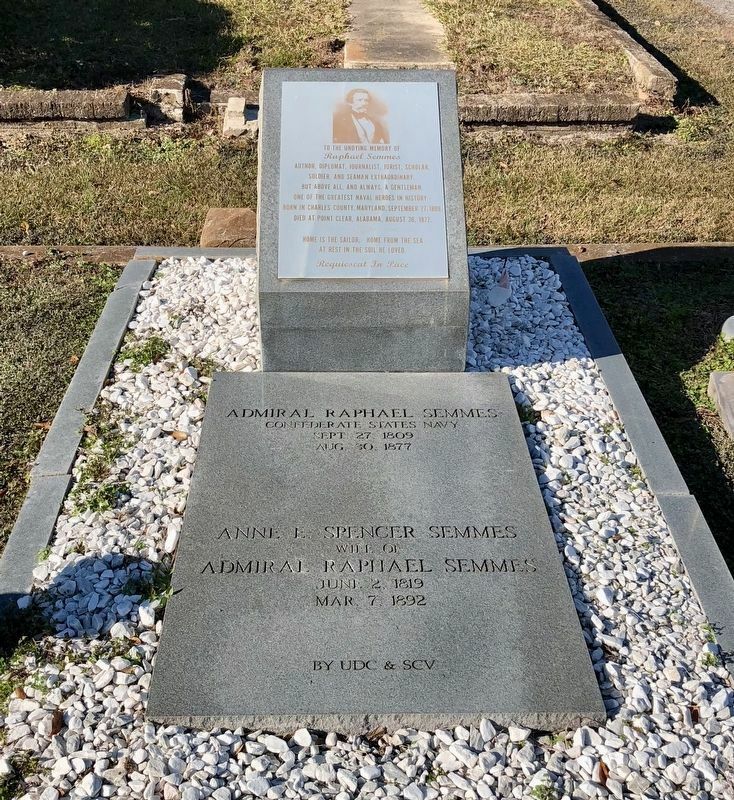 Grave of Admiral Raphael Semmes, in Catholic Cemetery, about 3 miles away. More. 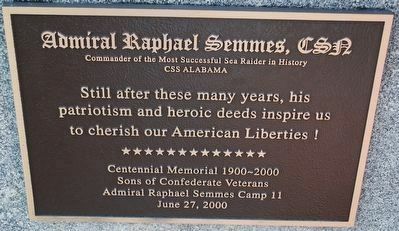 Search the internet for Admiral Raphael Semmes, CSA. Credits. This page was last revised on December 13, 2017. 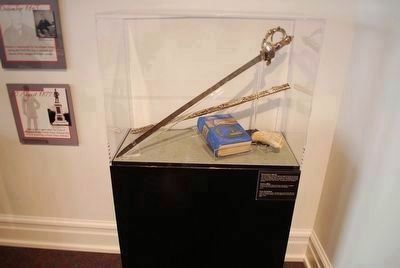 This page originally submitted on March 5, 2011, by Stephen Bell of Biloxi, Mississippi. This page has been viewed 1,443 times since then and 18 times this year. Photos: 1. submitted on March 5, 2011, by Stephen Bell of Biloxi, Mississippi. 2, 3. submitted on August 16, 2015, by Brandon Fletcher of Chattanooga, Tennessee. 4. submitted on March 5, 2011, by Stephen Bell of Biloxi, Mississippi. 5, 6. submitted on August 16, 2015, by Brandon Fletcher of Chattanooga, Tennessee. 7, 8. submitted on March 5, 2011, by Stephen Bell of Biloxi, Mississippi. 9, 10, 11, 12. submitted on August 16, 2015, by Brandon Fletcher of Chattanooga, Tennessee. 13. submitted on December 11, 2017, by Mark Hilton of Montgomery, Alabama. • Craig Swain was the editor who published this page.